In July of 2009 I posted a listing of 3 New York State rides that I would like to take on my motorcycle. I am slightly modifying one of those rides to make a goal for this year. Last week while in Pennsylvania, our travels took us past a handful of Mail Pouch Tobacco barns. There were a few I was unable to get shots of as we zipped along the Turnpike. That left me feeling like I’d missed something. I want to go back and photograph them. With the help of ohiobarns.org, I was able to pinpoint the barns that eluded me. 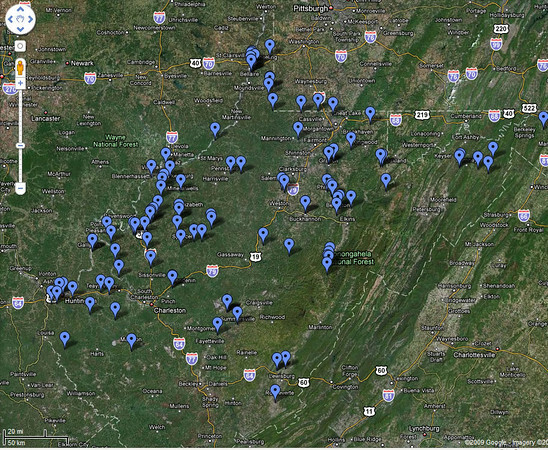 I was also able to map a ton of West Virginia barns using the information on their site. 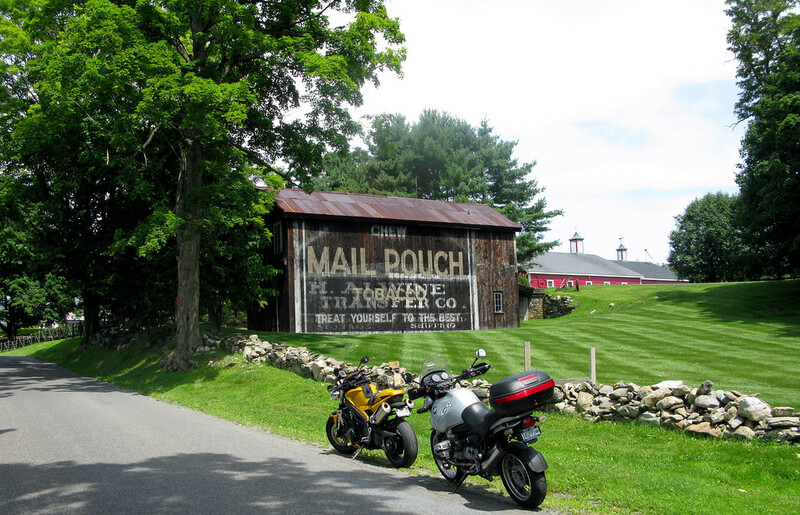 West Virginia, motorcycle, barns, farm land… score! For me that is the making of a great ride. I would like to string together some barn sites and make a long weekend ride through the great motorcycling state of West Virginia. At this point I don’t have anything more than just a dimly lit light bulb of an idea. But, with so many markers in great areas how can I go wrong? There are so many spots and little mountain roads to explore. I’m actually excited about picking through the maps in detail.